Shortly after the appearance of Blacktron on the Lego Space scene; a decision was made by the leaders of the largest colony to find a long term survival solution. A bold decision was made to send an experimental new space pod with a single elite pilot into space in search of a new suitable base. The pilot was placed in a state of hibernation in hopes of avoiding detection as his space pod slipped passed the oncoming Blacktron invaders. Now 30 years later, our brave hero has landed on a foreign planet and is ready to do what he knows best...explore this world, establish a new colony, amd reconnect with the world of the future. I grew up with Classic Space, Castle, and Town themes. Fast forward 20 years. Getting married, raising our kids and the general business of adult life pulled me away from the only toy that mattered in my childhood. My kids are now old enough to have developed the same love for all things Lego that I had as a child. 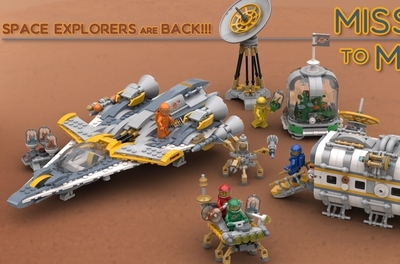 We have amassed a large collection of classic and new sets as a family. We have taken over our entire basement and spend countless hours as a family building complete cities, medieval villages, ancient Japanese cities, and large scale space stations. In other words; I'm in heaven! All things Lego and my family by my side. 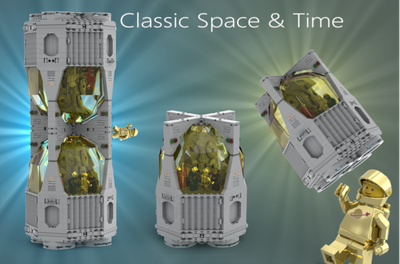 The Space Pod idea is my first project submitted. I am by no means a Master Builder, but am really proud of the simplistic, clean look of this project. 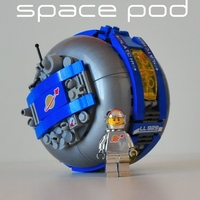 It was definitely a challenge to create a round space pod using square bricks. 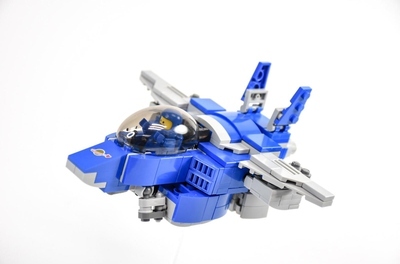 I have put a lot of energy and even more thought into trying to come up with something simple enough for young kids, nostalgic for all the AFOLs out there in Lego world, while still being a unique and fresh build with a bit of challenge. This is truly a labor of love for me. 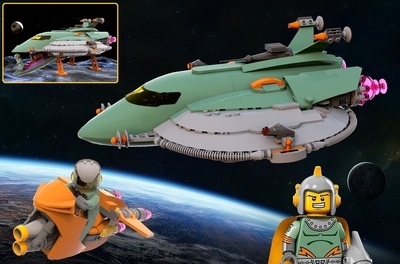 The prospect of it being made into an official Lego set is icing on the cake. I hope you love it as much as I do!